Notice: This is an old thread. The last post was 2612 days ago. If your post is not directly related to this discussion please consider making a new thread. Here is the second edition of the practical, bench-side reference that provides students with a foundation in understanding and interpreting histologic and cytologic preparations. Students appreciated the first edition because of its unique focus on normal histology for seven animal species, its excellence color illustrations, and its reasonable price. chapter introductions and figure legends have been heavily edited to augment and clarify content. a detailed glossary containing nearly 750 words. more than 100 enlargements of selected color figures that increase perspective. 13 new color figures have been added and four pen and ink figures have been redrawn. all of the original Kodachrome slides have been rephotoraphed and re-labeled. 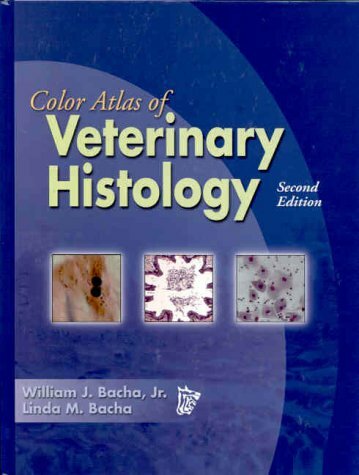 When you want a better visual presentation of histologic features in the tissues of domestic animals, reach for this improved edition of Color Atlas of Veterinary Histology. Last edited by Motoko; 28th February 2012 at 07:41 PM. Reason: ADD INFO, DESCRIPTION. TEMPLATE. Last edited by Motoko; 29th October 2016 at 05:58 PM. Reason: UPDATE. Color Atlas of Histology, CD-ROM.